During the month of June 2018, MIQ Logistics was involved in a number of events throughout the logistics industry. Read MIQ in the news, regulatory updates, industry updates, services offered by MIQ, and events that will be taking place in the June 2018 logistics link. During the month of May 2018, MIQ Logistics was involved in a number of events throughout the logistics industry. Read MIQ in the news, industry updates, services offered by MIQ, and events that will be taking place in the May 2018 logistics link. Multiple variables factor into your current freight costs. If your costs are rising, that is bad news for your bottom line. Every dollar that can be removed from your freight costs translates to an equal improvement in financial – and just as importantly – supply chain performance. With a little planning, you can cut your freight costs. Freight costs make up a considerable portion of the cost of goods, and any reduction has a direct impact on your bottom line. By planning ahead and being proactive, supply chain decision makers can cut these costs. Please read further for tips to reduce freight costs. During the month of May 2017, MIQ Logistics was involved in a number of events throughout the logistics industry. Read MIQ in the news, industry updates, services offered by MIQ, and events that will be taking place in the May 2017 Logistics Link. Throughout April 2017, there were many events that occurred within the global logistics industry. The April 2017 Logistics Link from MIQ Logistics gives insights into industry news, services provided by MIQ, updates with MIQ, and events that will be occurring in the near future. During March 2017, a lot has happened in the global logistics industry and with MIQ Logistics. 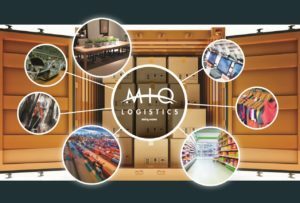 The March 2017 Logistics Link from MIQ Logistics gives insights into MIQ in the News, industry updates, services provided by MIQ, and events that will be occurring in the near future. In the start of the new year, a lot has happened with MIQ Logistics and in the global logistics industry as a whole. The January 2017 Logistics Link from MIQ Logistics gives insights into MIQ in the News, industry updates, services provided by MIQ, and events that will be occurring in the near future. The November 2016 Logistics Link contains industry news and recent MIQ Logistics updates.